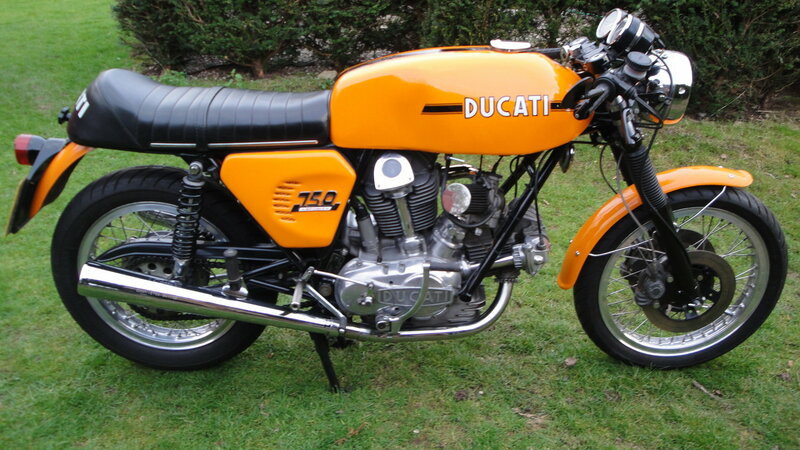 Very rare opportunity to buy a uk supplied, one previous owner ducati 750 sport! 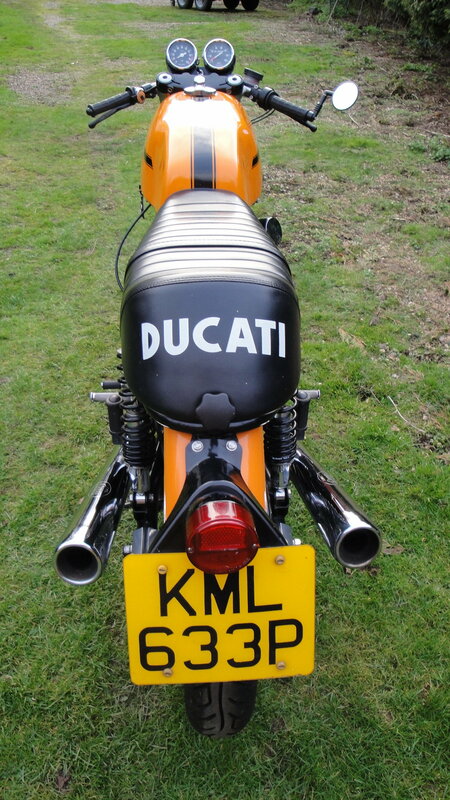 i purchased the bike in 2009 from its first owner, colin martin of woodford green, london. 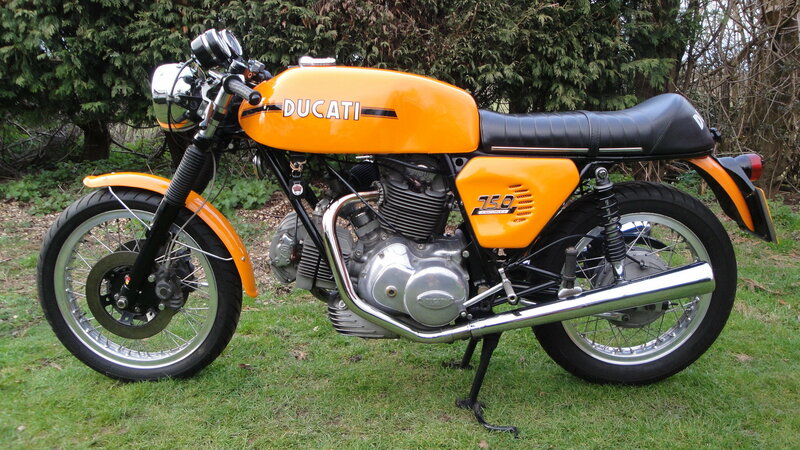 He purchased it new from vic camp motorcycles in november 1975.
it was one of the last 2 750 sports imported into britain (the other going to mick walker motorcycles of wisbech) and was delivered with a dual seat and polished engine side covers as standard. 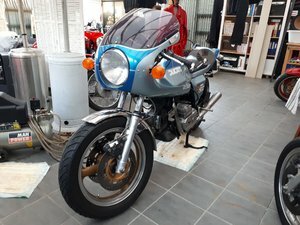 he kept the bike for 34 years, taking him to the isle of man several times, scotland, wales and hundreds of race meeting at snetterton, brands hatch, lydden and mallory park. Epic camping holidays were undertaken to the arctic circle in the north of finland, to the barcelona 24 hours and to italy, as well as less arduous trips to france, spain and holland. the bottom end was assembled by race engineer, anthony ainslie in 1993 at 79800 kms, the cylinder heads were overhauled by the cylinder head shop in 2000 at 89000 kms, which included lead-free seats, new guides and new vee two valves. A rebore using vee two pistons was also carried out at the same time. The wheels were rebuilt with stainless spokes using the original rims and hubs. The frame was powder coated. The rear shocks are koni dial-a-rides. 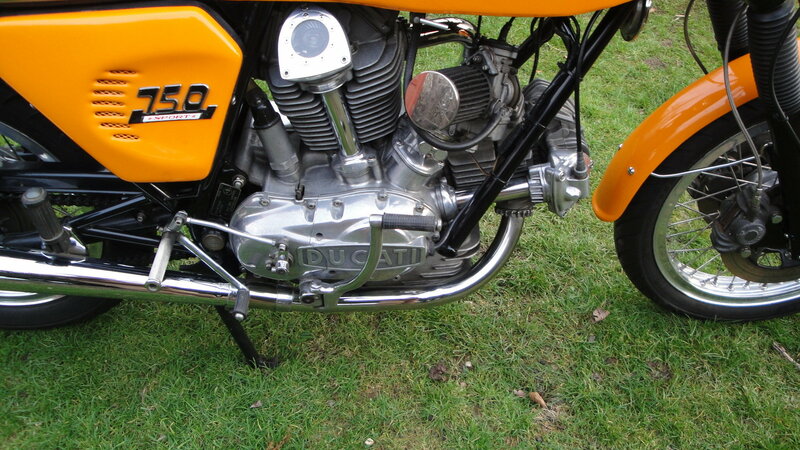 it is fitted with some practical mods: Double discs; Gear gazer (original cover also with the bike); fork gaiters (easily removed) and air filters. The exhaust pipes are from the company old racing spare parts, but the originals are included. The silencers are correct conti (which colin flew to italy to source). 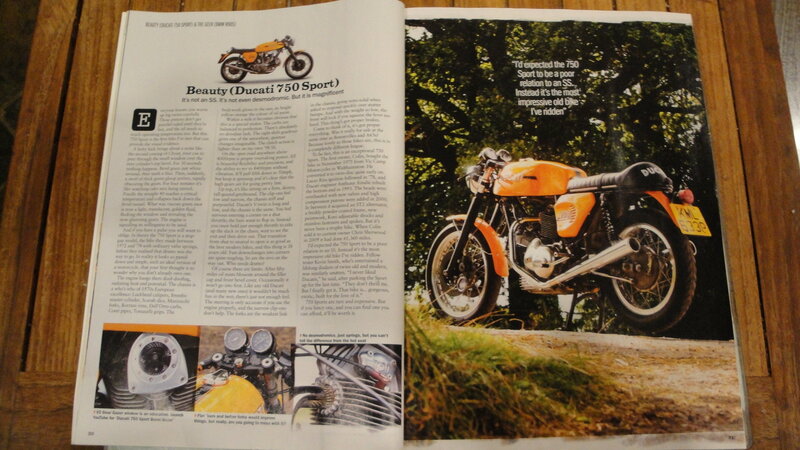 the seat is a superb reproduction from eldorado seats in australia, but the original is also still with the bike. Also comes with the original riders handbook. an mph speedo was fitted, now showing 1,655 miles, but the original kph speedo showing 96285 kilometres (60,178 miles) is included. 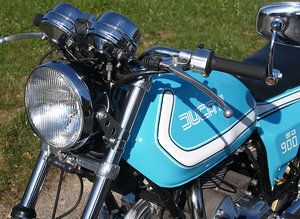 there is a letter on file from colin in 2009 giving more detail on his life with the bike. 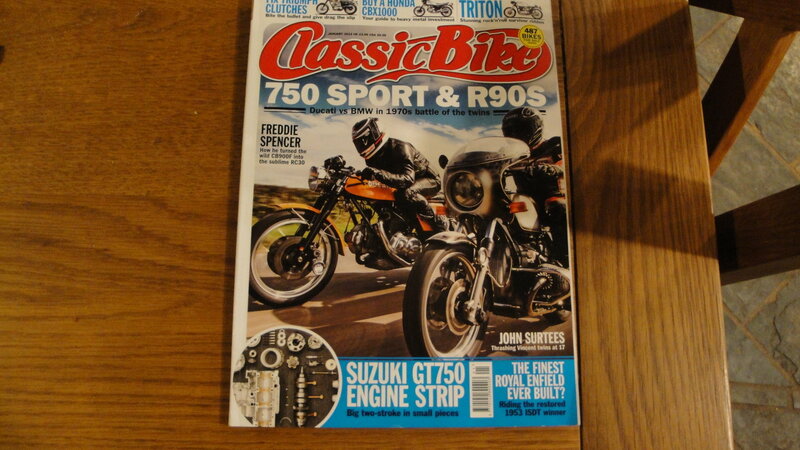 this actual bike (together with a bmw r90s of mine) were tested by classic bike in 2013 and they wrote very favourably indeed of the 750 sport - quote: "I'd expected the 750 sport to be a poor relation to an ss. Instead it's the most impressive old bike i've ridden." 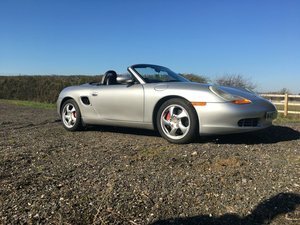 as a former owner of an ss i concur that it is every bit as engaging to ride, as beautiful to look at and has the advantage of being a fraction of the price. 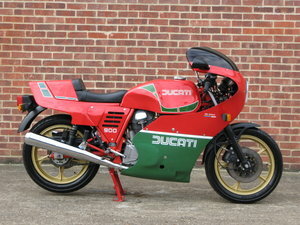 i believe this to be a very rare opportunity to acquire a 1 previous owner, uk supplied, 750 sport of such provenance. It is eminently useable but at the same time can proudly be part of any serious collection. to arrange a viewing or for further details call me on + 44 (0)1432 371775 or email me. the bike will only be released to the buyer on receipt of irrevocably cleared funds transferred into my bank account.